My colleague has relatives in Sicily and goes there two or three times a year. Last autumn he brought back so many lemons that he made tons and gallons of marmelade and limoncello. The best limoncello you can imagine! 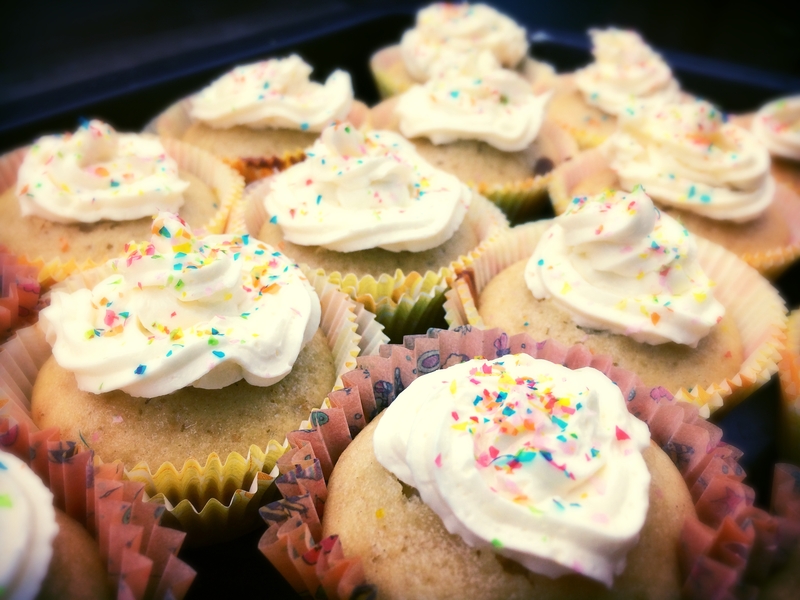 I got a bottle from him and almost everything is gone, but some tablespoons where left - just enough for these Limoncello Cupcakes. They are gorgeous. They are great. I followed the recipe as written and ended up with 18 cupcakes. There could have been more frosting for topping them more excessively. But they are also pretty like that - and honestly spoken: I am not such a big fan of cupcakes as I don't like the excessive buttercream on top. So - for me the amount of topping was perfect, but if you like little mountains of frosting you should raise the quantity. Not much more to say about it. They taste great (at least if you are into lemon-taste). It was my first time I piped some frosting (usually I only spread it) and for my first attempt I am pretty happy with the result. For the recipe, have a look at Dorie Greenspans book "Baking chez moi" on p 194. And to find out if the rest of the group did like it as much as me - have a look here! The sprinkles are such a pretty finishing touch! How wonderful to be able to use good homemade limoncello for the cupcakes. I think these look great for your first time piping. I thought this amount of icing was perfect as well since most recipes seem to drench the cupcakes in buttercream. So lucky to have the homemade limoncello! I like the sprinkles on top. I don't like too much icing, so the amount here was perfect in my books. Limoncello cupcakes made with homemade limoncello made with real Italian lemons -- now that's authentic! Looks great! Lemons, marmalade, and Limoncello all from Italy…you are so lucky! 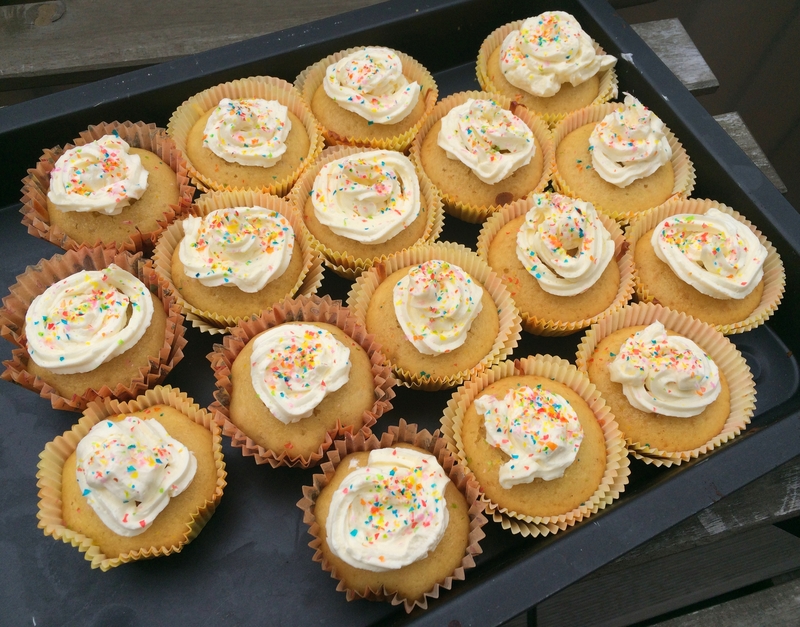 They were a very elegant sort of cupcake…worthy of a special occasion! You did a great job piping - your cakes are very pretty! I too thought the amount of icing was perfect.